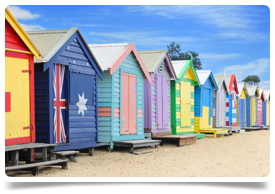 We’re recruiting for a GP to join this great practice in the eastern suburbs of Melbourne on a full time basis. A great opportunity has arisen with this very busy accredited practice in the eastern suburbs of Melbourne. The practice already has an established a patient base. It's owned by a British trained GP who made the move to Australia himself, this means you will be good hands in terms of support and training as you will be working with not only the owner but another UK trained GP who will understand the transition you face entering into a new healthcare system. The practice is modern, fully computerised and has a team of experienced receptionists, practice manager and a nurse. There are currently 4 GPs working here and one is moving soon to their second branch which is opening soon, a full time GP would be seeing 30-40 patients per day although the owner is seeing up to 50 per day. There are three consultation rooms and a well equipped treatment room. This is a bulk billing practice which privately bills procedures. There is on-site pathology with a pharmacy just 100m away. There are no other bulk billing practices closed by hence why this practice is so busy. The patient base is mostly young facilities and elderly, there are a few nursing homes in the area which could be managed by the practice if the successful doctor was interested in this service. Monday to Friday 8am-7pm, Saturday 9am-6pm and Sunday 10am-2pm. To be considered for this position you must have MRCGP/CCT/MICGP/FRACGP or equivalent. Located approximately 20 miles north east of Melbourne CBD , this is an established leafy suburb within easy reach of the city. The population is mostly young families to ageing. There are 5 schools in the area and there are many good suburbs to base yourself in mid-way between the practice and Melbourne CBD. Vineyards and top restaurants are just a short drive away.